It wouldn’t be the start of a new year without a review of the highs and lows of the HGTV Dream Home. The unveiling of the 2018 HGTV Dream Home was just one small thing to look forward to the night before everyone trudged back to work and school today. As with the last several years of Dream Homes this one was also a renovation rather than a complete new build, because ya know, who can resist a stunning before and after? 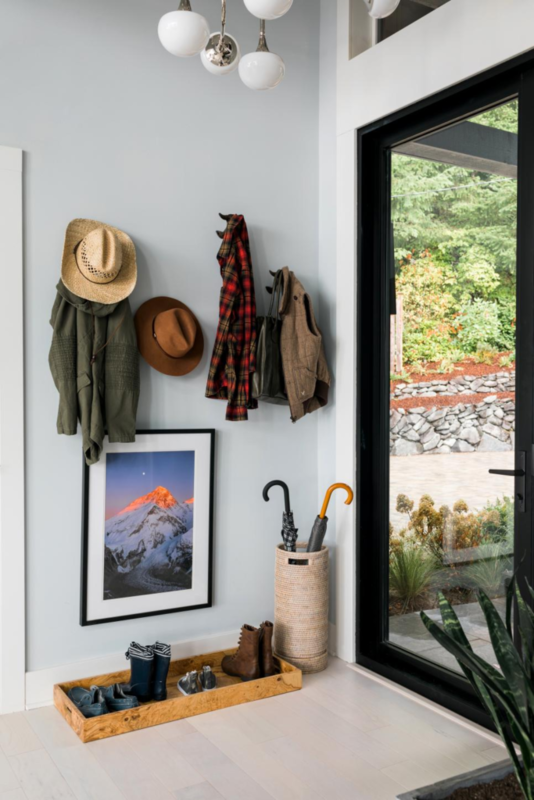 I was particularly excited by this year’s contemporary style since it’s a similar style to my home that we’ve been slowly remodeling over the last few months. 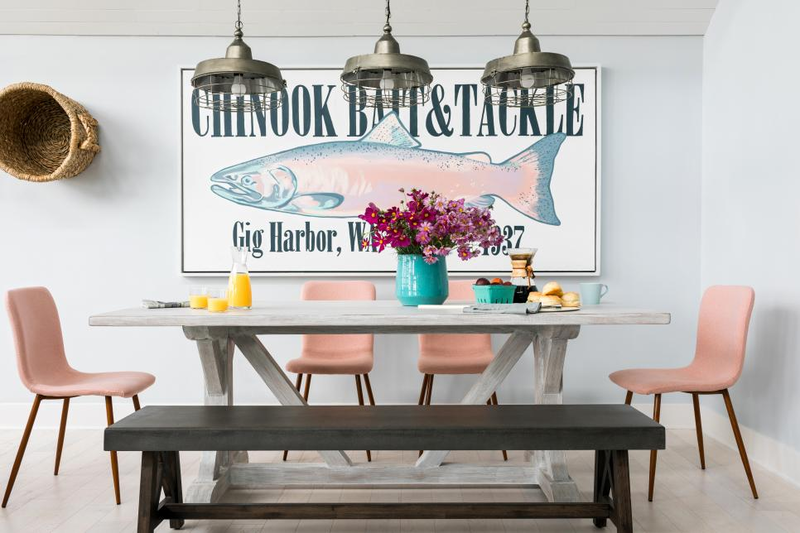 The HGTV 2018 Dream Home is located in the Pacific Northwest, right along the Puget Sound. The setting is gorgeous. The previous exterior, not so much. Let me rephrase, it wasn’t awful, just a bit outdated and weird. What’s up with that asymmetrical ship’s watch? My guess would be that similar to our home, this one was originally built in the mid-80’s. 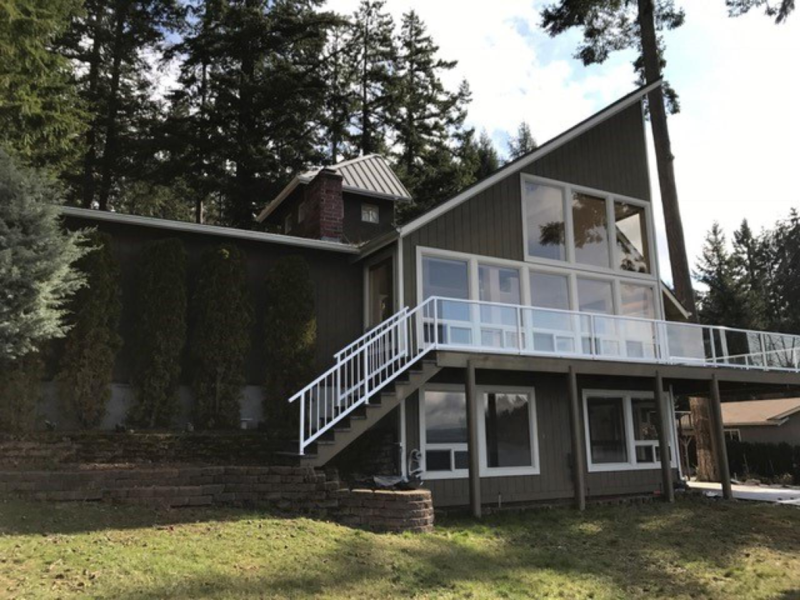 The back of the home looks slightly better, but all you see if building block looking windows, stark white railing, and too-big arborvitae bushes hiding the wall. The after is much improved, sleek and truly contemporary. None of that “I am a contemporary but would rather be coastal” that it previously possessed. 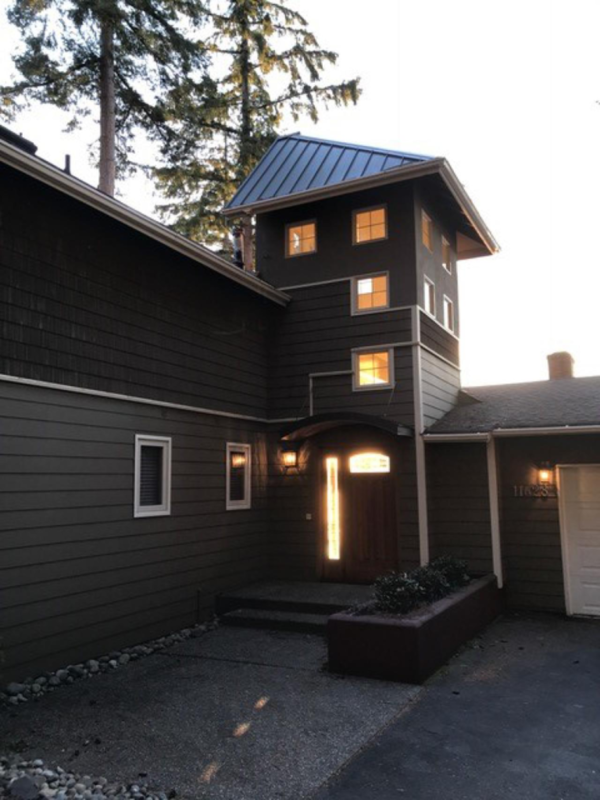 The metal roof over the entire home probably cost a pretty penny (I’ve been researching them as a possibility for my own home) but makes such a difference. Removing that ship’s watch was also a great choice and the updated driveway, garage doors and landscaping don’t hurt either. 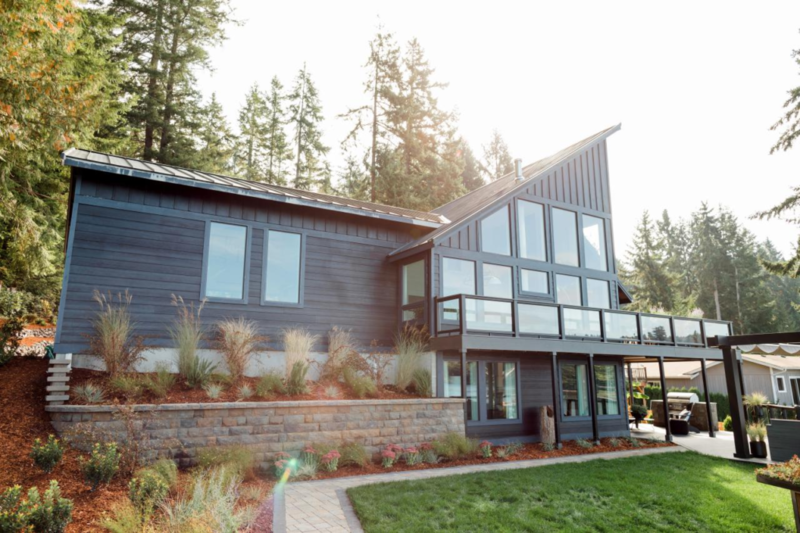 This home is just reaffirming many of the contemporary design choices we’re making for our own home, and the black modern windows and dark painted exterior help immensely. I wish HGTV would name all of their products somewhere and the cost for the product and the installation and construction. I’ve found that black (interior and exterior) windows are not as readily available as one might think, and when you can find slick black contemporary windows, they are $$$$! I won’t bore you with all of the choppy wrong-ness of the before interiors, you can check them out for yourself on HGTV’s website but I did want to take you through some of my favorite parts of the completed interior. Ok, here the view says it all, and perhaps that’s why they chose not to go with black interiors on the windows here but rather white with white trim? 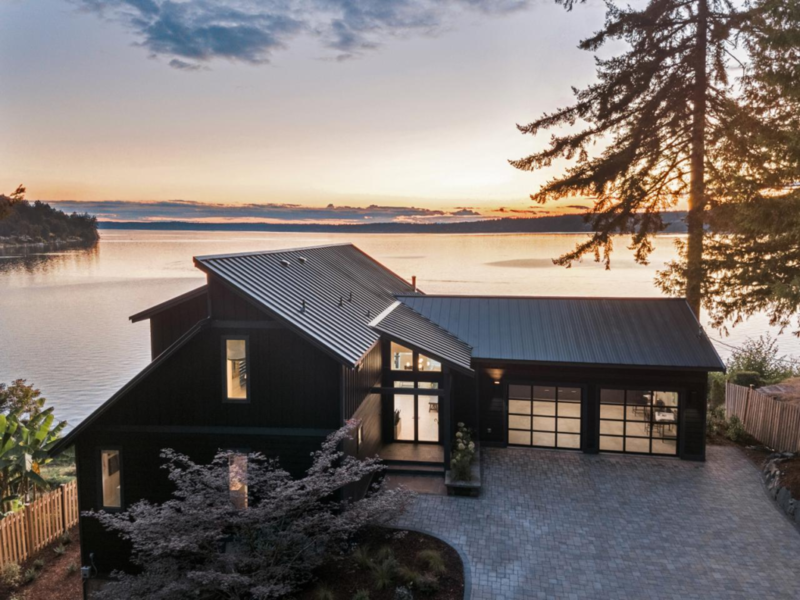 The millwork is simple and contemporary and honestly fades away unless you’re really looking for it, making the Puget Sound views the main event. 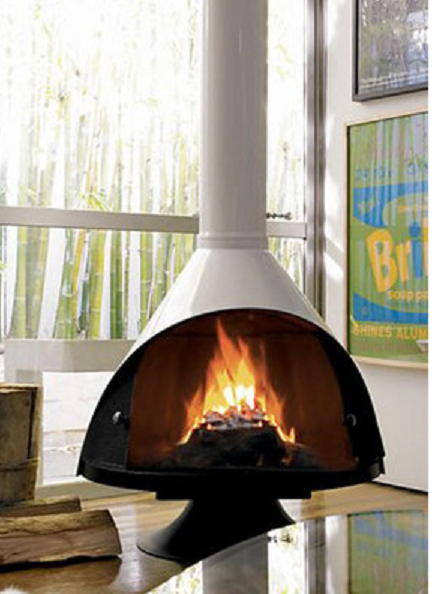 I’m torn about the fireplace placement. On one hand it’s ideal to have your great room furniture be focused on both the fireplace and the views all at once, but a fireplace of this size does take up a good portion of that view. And while the look of this one is very coastal, I’d have gone with something a bit more contemporary that didn’t take up so much real estate, like this one here by Malm. 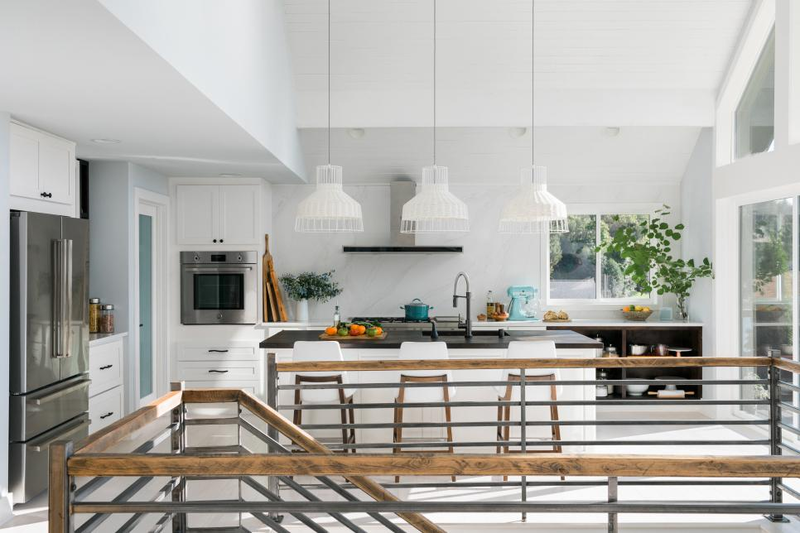 I am still a sucker for a white kitchen, and I really love that they are using a shaker cabinet in a contemporary home. (More positive design affirmations for my home – yay)! 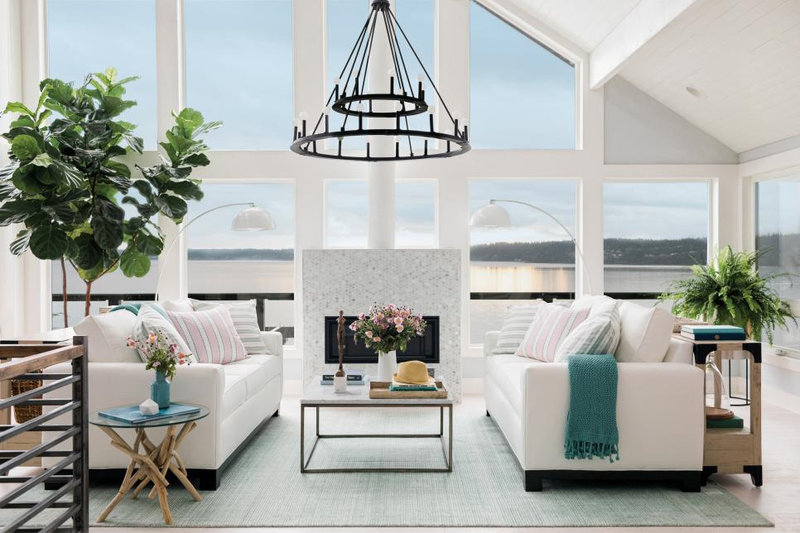 The metal and wood railing are perfect and add the modern edge while the white wicker pendants over the island give it just enough coastal kitsch. I may need to pick up these counter stools for my own home. This entry door is perfection. You can see in the second pic below it’s a very modern black interior/exterior French door. I am hoping that this is what our new Marvin Contemporary door will look like in our in-progress kitchen. 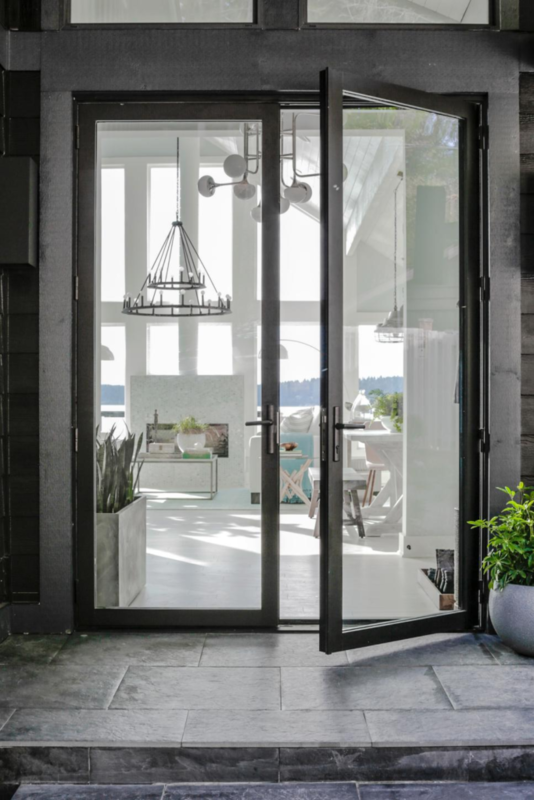 It’s harder to find modern looking French doors without mullions than you think. They are not a standard off the shelf Home Depot purchase, trust me. I’m a bit disappointed by the random hooks just hung on the wall with no framing or bench. The hooks themselves are adorable whale tails but I wish this wall had been framed out (maybe with some board and batten) so that the coats weren’t the focus. The art is gorgeous though hung at a weird spot, probably to detract your eye from random coats. And the idea of a burled wood boot tray in the Pacific Northwest is a smart and good-looking idea. In my opinion this is the best bedroom of the bunch. 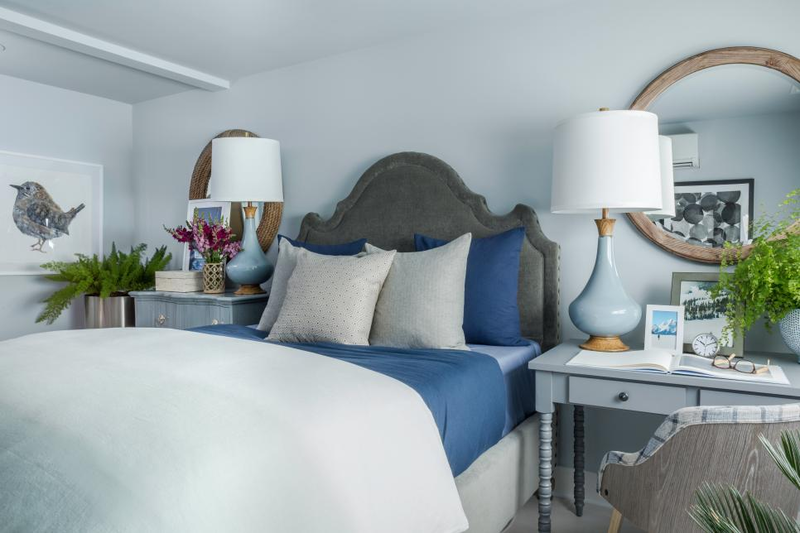 The blues are calming, but not boring, and this is a great example of how things don’t need to be perfectly matchy-matchy but can still “go.” See how those mirrors are similar but not the same, and the desk and dresser, too? I also like how larger furnishings are used as nightstands. 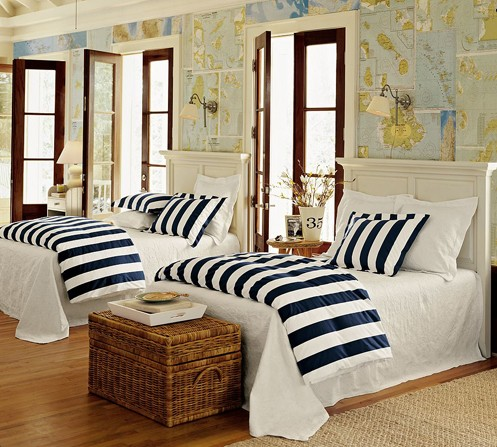 Lots of folks don’t have room for a bed, nightstands and a desk and dresser in their room. So it makes perfect sense to replace some of the less utilitarian pieces with those that can do double duty. Finally, the outdoors. The view from this property is just amazing. 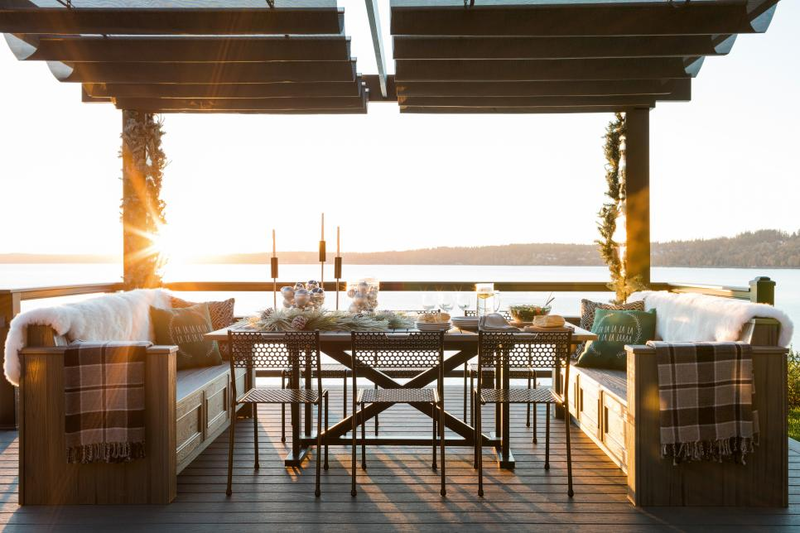 And while it may rain a ton in the Pacific Northwest, for those times when it is nice enough to be outside, it helps when it looks like this space. 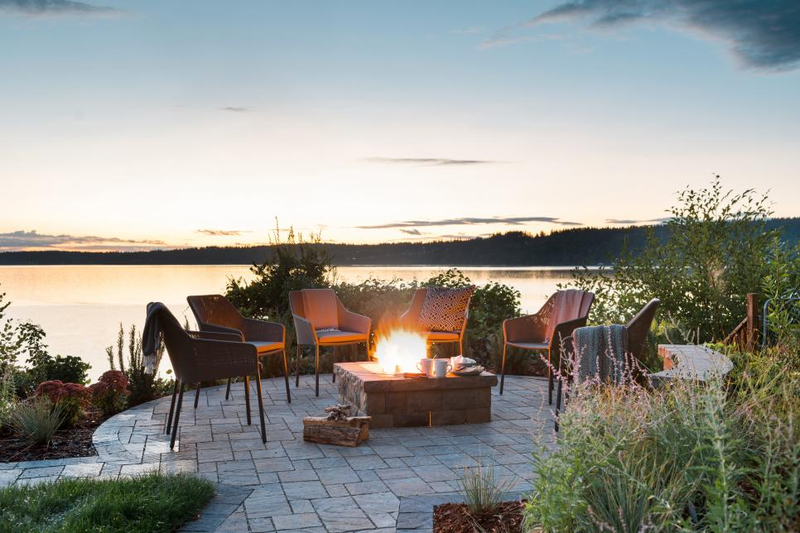 Who wouldn’t want to snuggle up next to that fire pit or have a meal with family and friends at that outdoor table? 1) How much does everything cost? Like regular retail cost that your everyday person would pay? 2) How much time does it take Ryan Patrick Flynn to design all these spaces? How large is his team? 3) Next year can you create a list where everything came from. I mean everything. Shingles, doors, windows, counters, light fixtures, a duvet, everything. Not just those that pay sponsorship. It doesn’t have to be emblazoned anywhere, just a list, no logos, no ads. 4) How much did you pay for the fixer initially? How much did you put into it (labor and materials)? What’s it worth now? 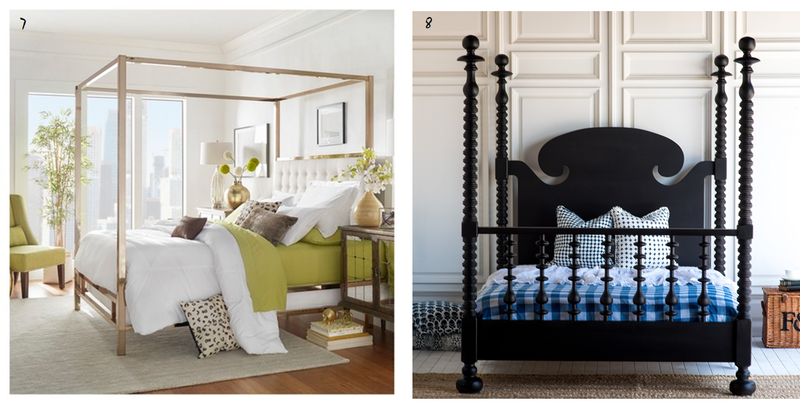 Nothing makes a bedroom statement like a fantastic four poster or canopy bed. Their dramatic height can add some much needed visual interest to a room where normally the furnishings are lower in profile, think low platform beds, nightstands, dressers and the like usually aren’t too high. That said, a tall framed bed isn’t for every bedroom, namely those that are smaller in square footage or have low ceilings, which can make those rooms feel more cramped. 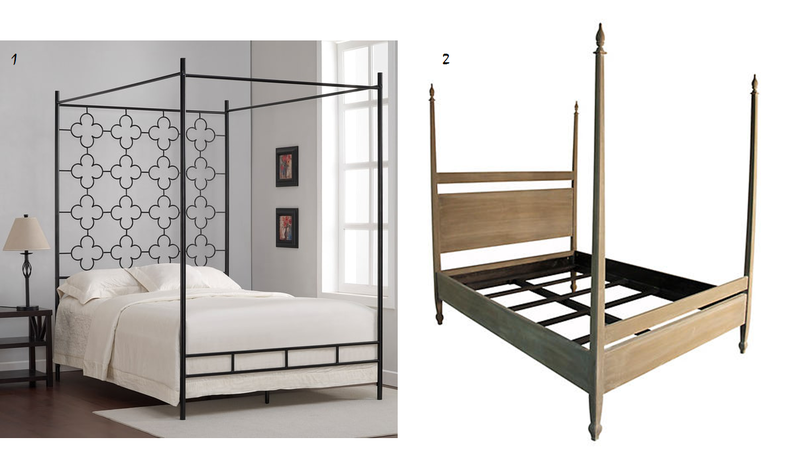 Four poster and canopy beds come in designs for every style, modern, classic, traditional, ornate. 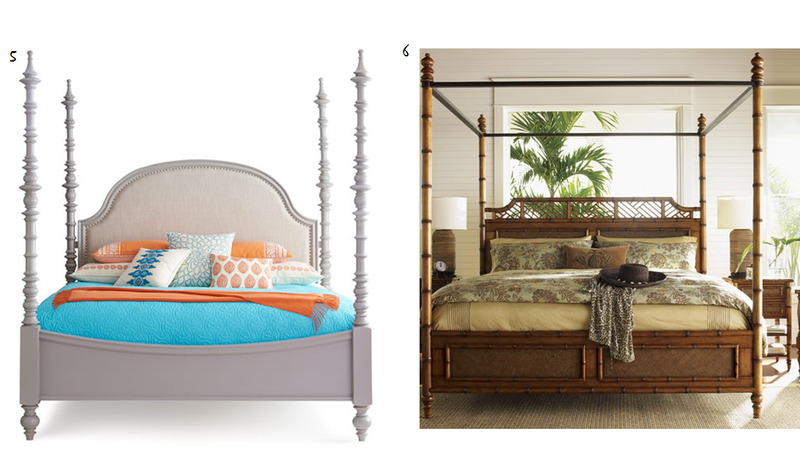 I’ve assembled a collection of my favorite canopy and four poster beds out there and info on where to find them. So yesterday I wandered the aisles of HomeGoods just trying to kill time until my car was finished getting tires at the nearby service station. I know, this is a dangerous combination, free time and HomeGoods… the potential for frivolous spending was high. I rounded the corner in the kitchen/dinnerware section (a section in which I had no business being in, since I don’t need anything for my kitchen) and there it was. It was an oh, so, cute display devoted to a number of items covered in flamingos. They screamed summer (my favorite season). 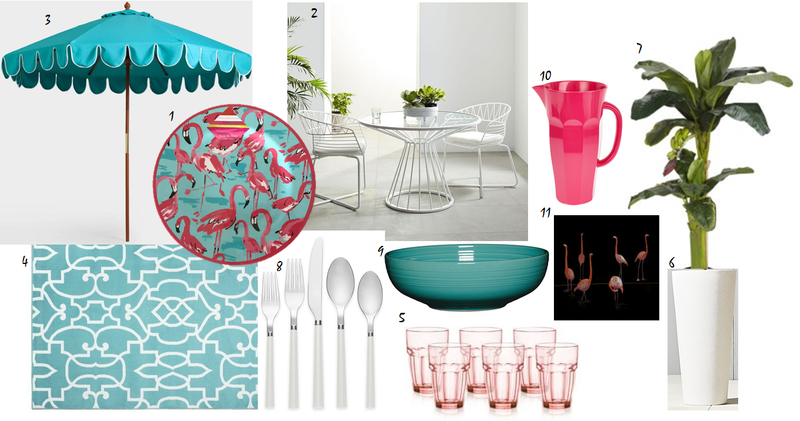 In particular this set of Isaac Mizrahi melamine flamingo plates really caught my eye. But I showed restraint. I left those plates at HomeGoods, but thought about them for the rest of the day. They were still on my mind this morning so I thought I’d dedicate the blog to them today. 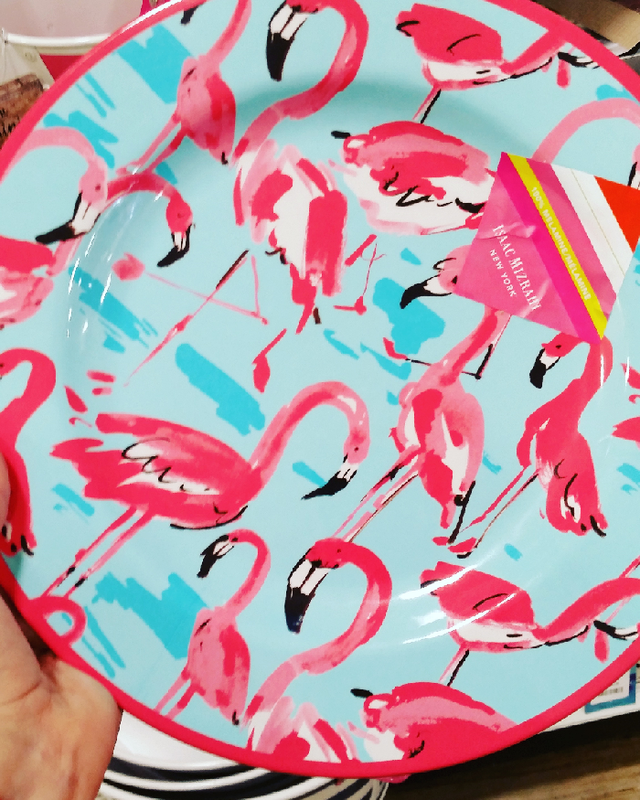 I’ve put together a summer patio styling based on these adorable plates, just in time for the unofficial start of summer this coming Memorial Day! Maybe if these plates stay on my mind I’ll go back and pick a few up. Is there anything out there that you totally don’t need but can’t resist because it’s just so darn cute? Let us know, we’d love to hear about it! 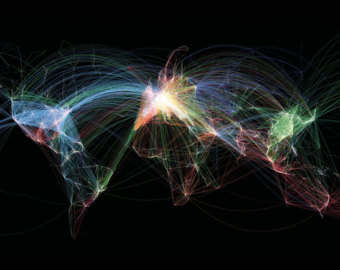 I’m not sure what it is, but I love me a great map. Maybe it’s because they are really (in their printed form) a thing of the past. Gone are the days when we’ll pull out a paper map while we are in the car to get from point A to point B, but I still can’t seem to part with my old bin of paper maps. I have 90’s and ’00 era US state and city maps as well as city and country maps from the time I lived in Europe. I love the range of colors and fonts and printing styles on old maps. They are more art than utility now and they are a staple in design that I use all the time! 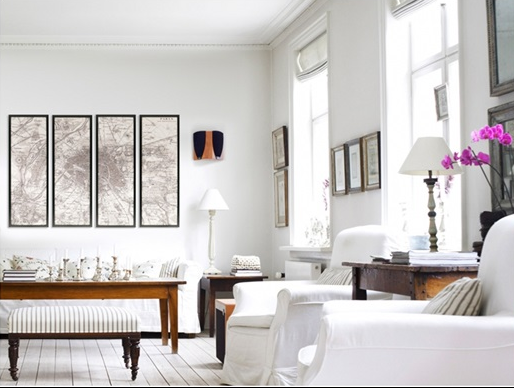 Large antique maps matted and framed or small modern maps in a gallery format are a great way to decorate an empty space. 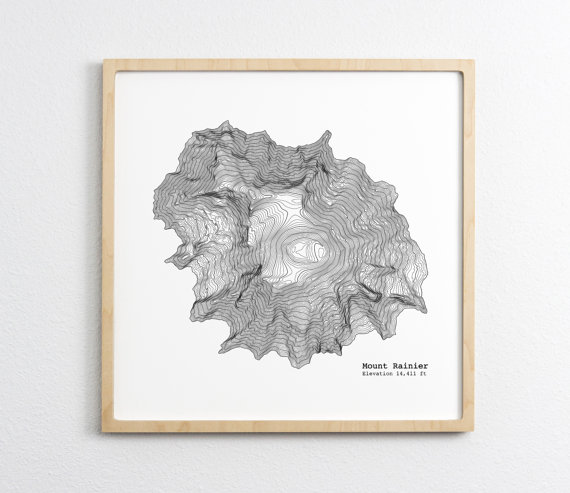 Match your interior style to your maps. Keep a nautical theme with depth chart or fishing maps or go modern and colorful with subway maps. 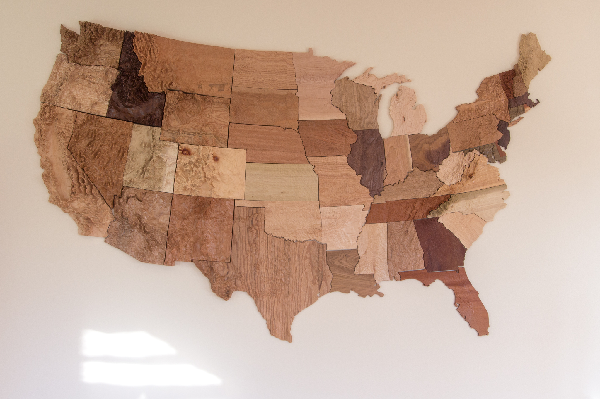 Budgets for maps can span quite a range, you can drop thousands on a huge antique map, hundreds on a unique wood map or spend under 10 bucks on a quirky yard sale find. 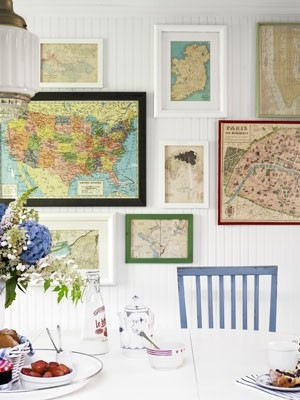 Need some ideas for how to use maps in your home? Here’s a few great ones that I love. Also, here are some unique map forms, pictures made of maps, maps of wood, silhouettes, and many others! 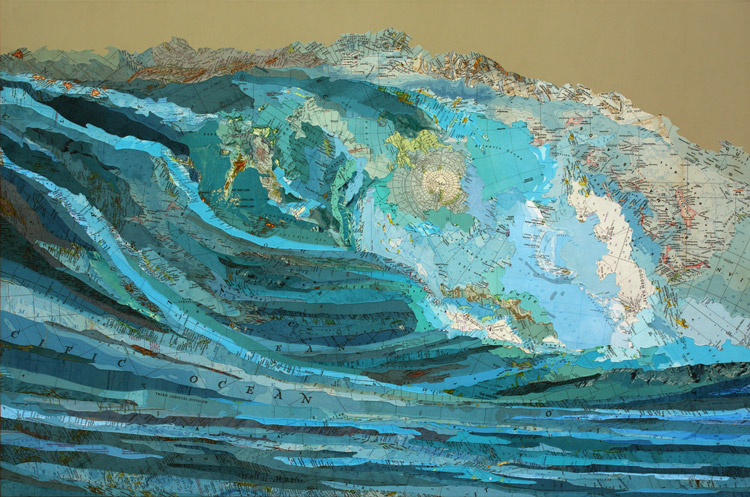 What can you create with old maps? It’s a staple in many of my designs. A good ottoman or pouf is an excellent way to fill an empty void in the floor space and is so, so versatile in both use and styling. 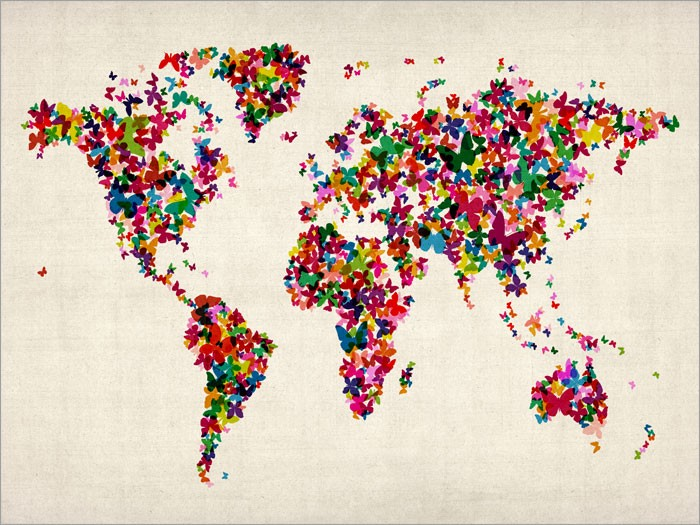 They provide so much more than a place to prop up our feet. 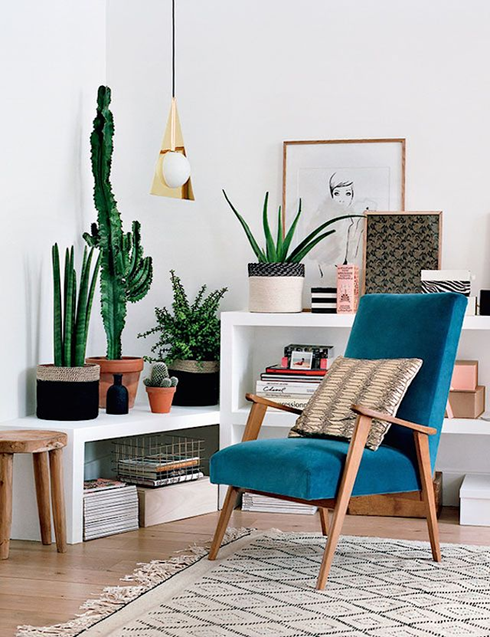 Ottomans can be extra seating, double as a coffee or end table, be a pedestal for art or tchotchkes, and in some cases, include storage inside. I use them solo and sometimes in sets of two or three. 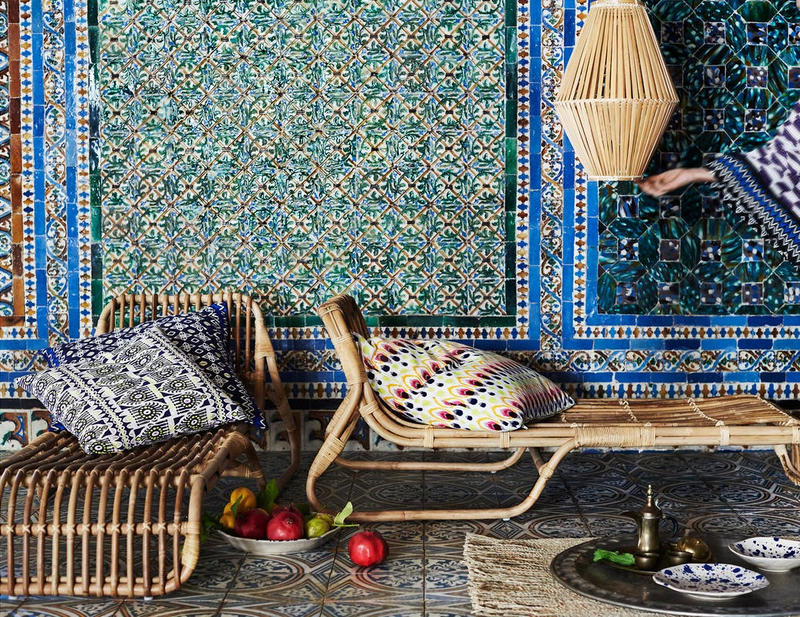 Afraid to commit to a bold color or pattern on an entire sofa or chair? 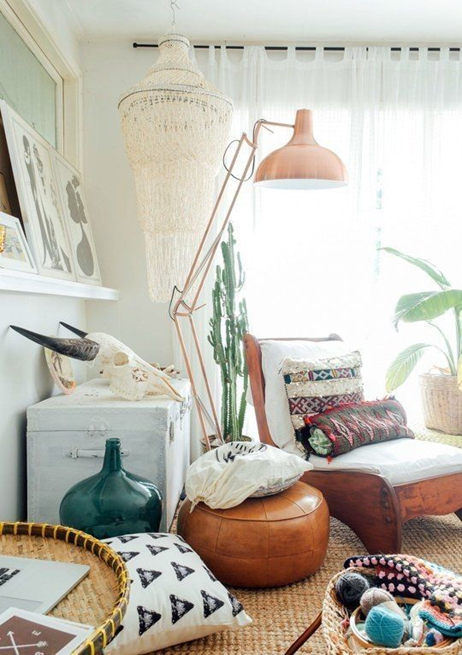 Add a bold ottoman instead. Want something easily moved from one room to another or swapped out for the seasons? A pouf just might do the trick. Ottomans have been around for a long time but I think our recent love affair has become so popular because the life of the ‘ol extending recliner with foot rest operated by the little arm or button on the side has passed (you know the ones I’m talking about, your grandpa still has one he won’t let go of). People are more style conscious today and are opting for a more updated look of an armchair and separate ottoman. Thankfully you don’t need to spend an arm and a leg simply to have a place to prop your legs. Here are a dozen great ottomans and poufs under $200! 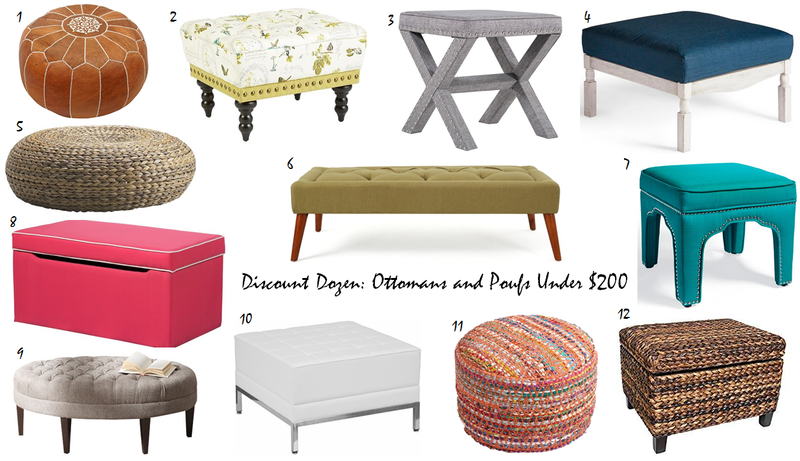 Discount Dozen: Ottomans and Poufs Under $200! 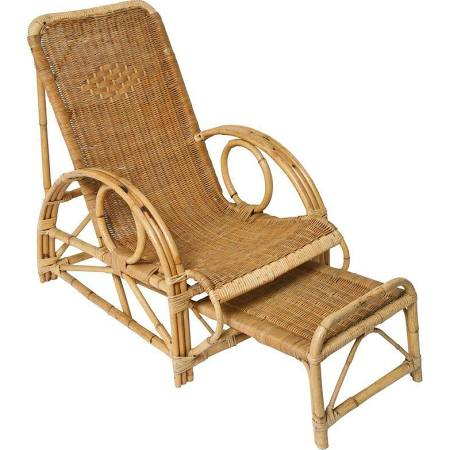 Curvy rattan, cane and bamboo furniture is all over the place these days. You can bet that retailers have been moving it to the forefront of their displays lately since spring as upon us (though as I write this there are weather forecasts predicting insane amounts of snow for the northeast in March)! Rattan, cane and other natural elements are red hot right now and you can drop a small fortune on a designer or vintage piece like this, which without a doubt is gorgeous, but yowza…it’s $1800! If you’re like me and can’t make that sort of commitment then these new pieces from IKEA, yes, IKEA may be more your speed. They are beautiful and inexpensive. 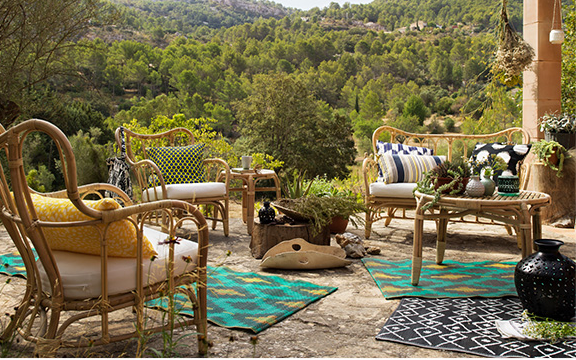 They have a number of great options in chairs, chaises, settees, end tables and pendant lights in several designs from their Jassa, Kungsholmen, and soon to-be-released Mastholmen lines. 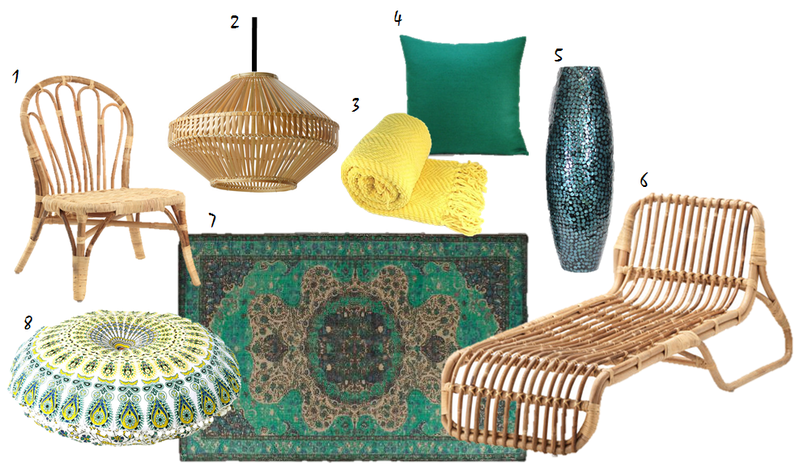 Here’s how I’d style these cane pieces in a wonderful, brightly lit sunroom! This post is not sponsored by Ikea or anyone – all opinions are my own. If you’re looking for accessories for your home but don’t want to spend more than like $5, you’re in luck. 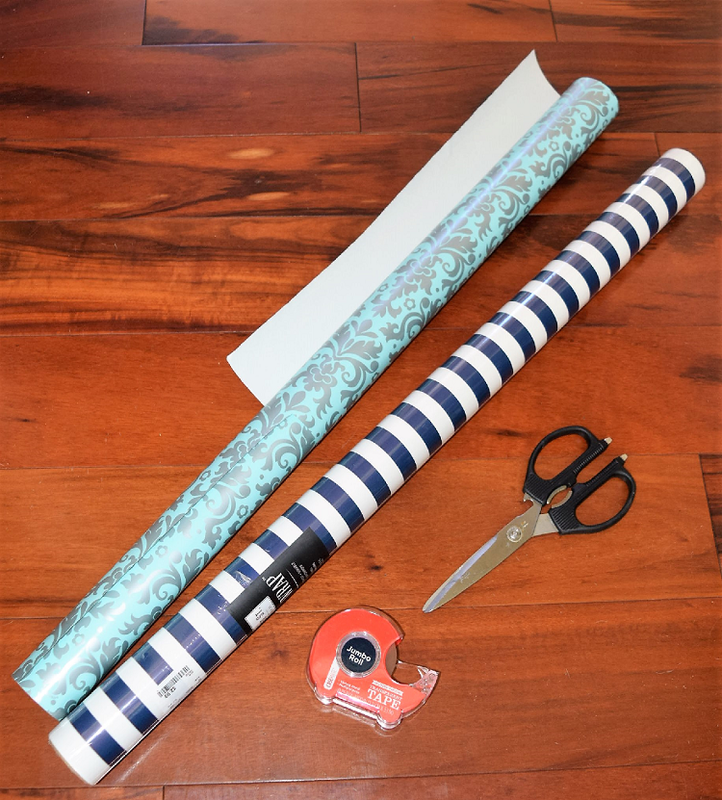 This easy DIY design accessory trick is so simple and inexpensive and I use it all the time. Buying actual coffee table books that look good and have attractive covers and spines is a nice idea, but they aren’t cheap and it can be hard to find those that coordinate well with your room and with each other. 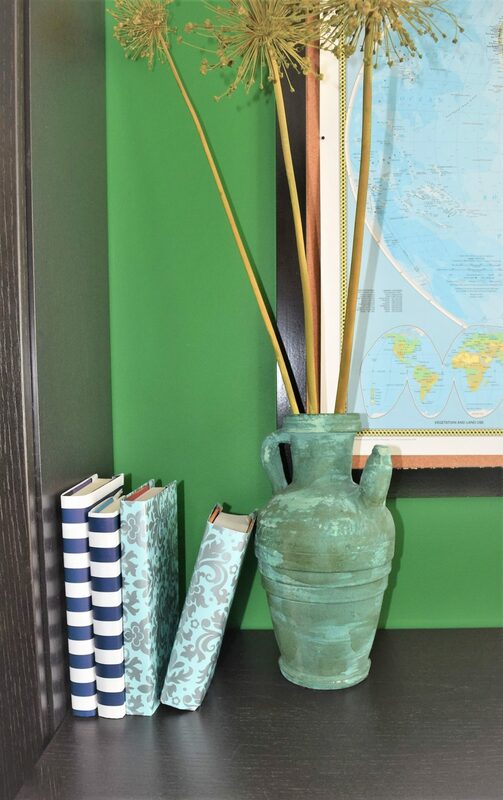 Also, why buy a book you probably won’t ever read cover to cover, when you can take one of those extra hard back books that is laying around and cover it to match your décor perfectly? 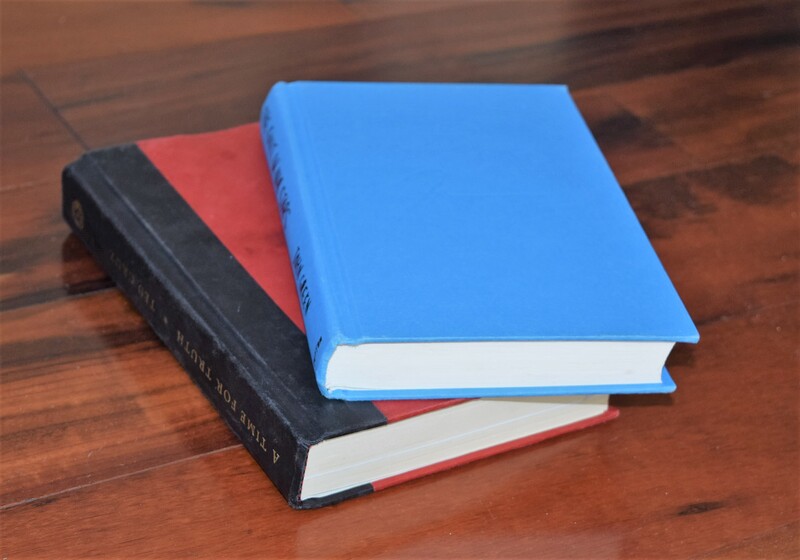 So here’s my ridiculously easy step by step tutorial for how to cover books to adorn a shelf, coffee table, or nightstand (this is also great for staging homes). 1.Gather old hard back books. If you don’t own any, you could hit up a thrift store with a pocket of loose change or if your public library is like ours, they give unwanted ones away for free! 2. 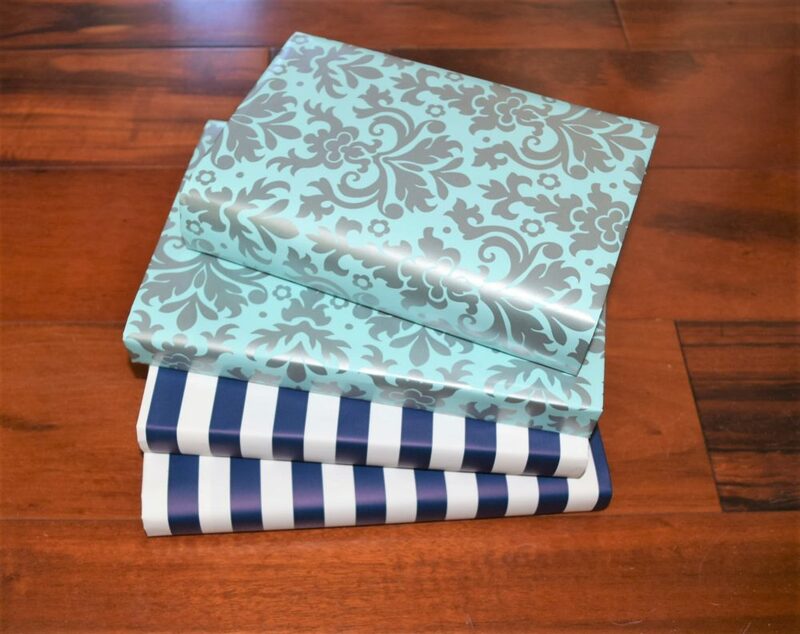 Buy some “fancy” wrapping paper. I find that HomeGoods usually has a great selection near their checkout aisles and most are about $3 per roll. You could even use a huge roll of brown craft paper that you can find at Home Depot (they call it masking paper and you can get 180 feet for $4) if you need to cover a whole library’s worth of books or if you want to make it into a fun project with paints or stamps with the kids. 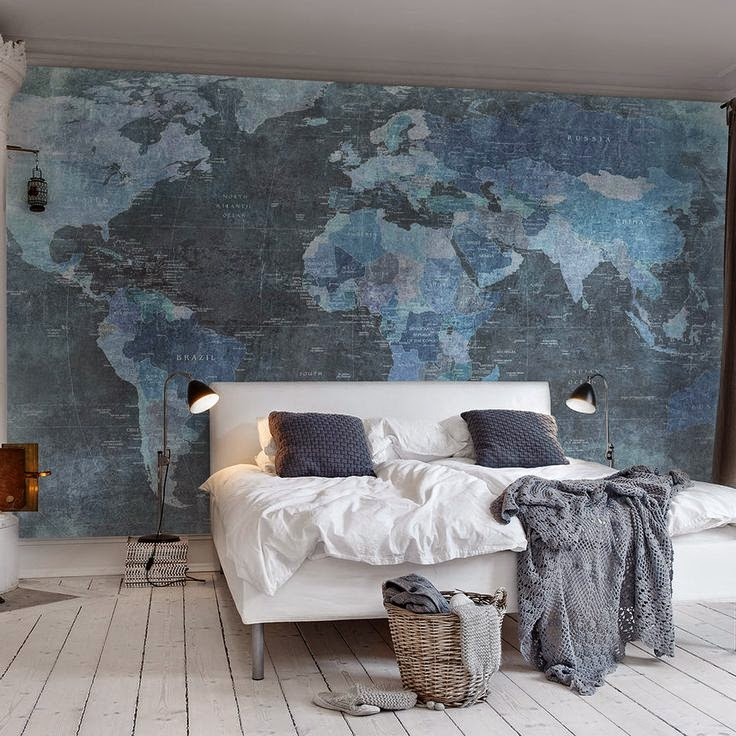 This would also work well with scraps of wallpaper. Here are my supplies for a recent covering project. 3. 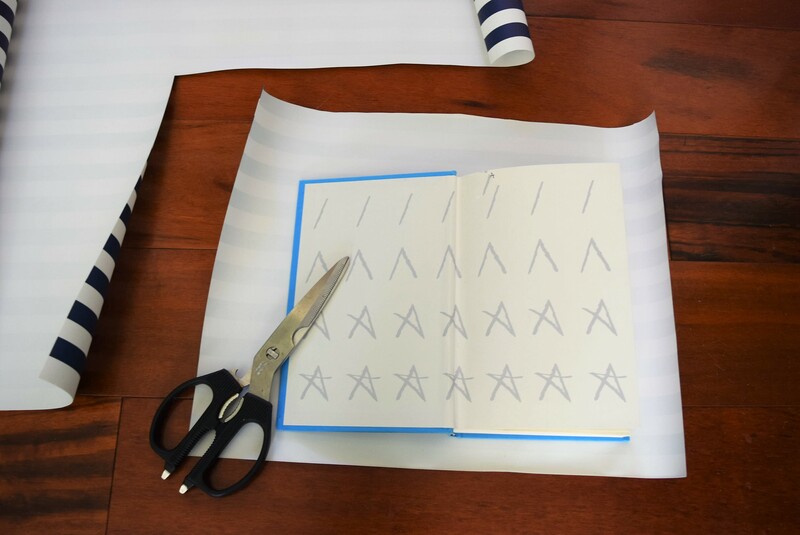 Unroll your paper and put your book down and open the front cover. 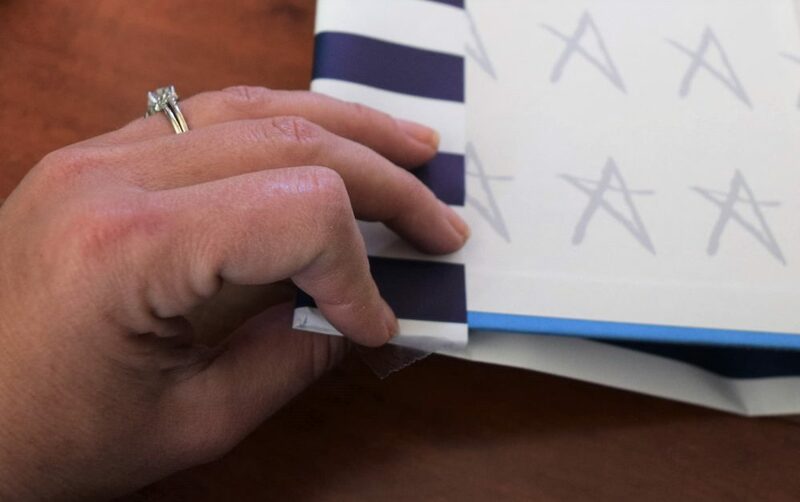 If you have a patterned paper, be sure to orient your book in the direction you want the pattern to run and if you want consistency, be sure to orient all of your books this way. 4. 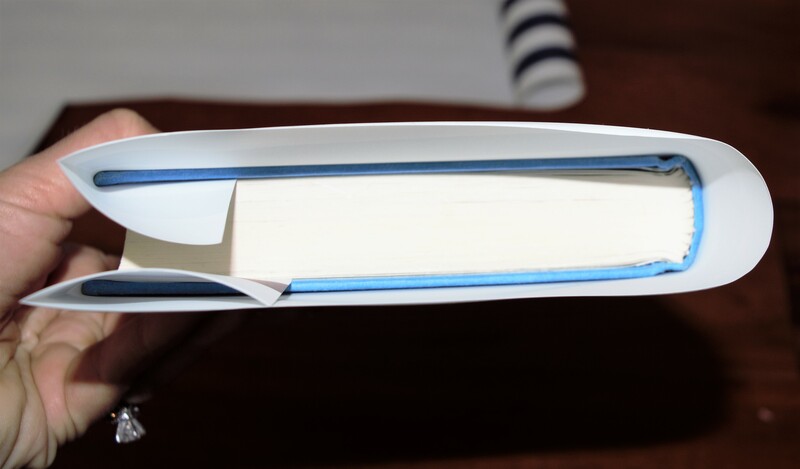 Cut around your open book leaving about an inch and a half excess on all sides. 5. 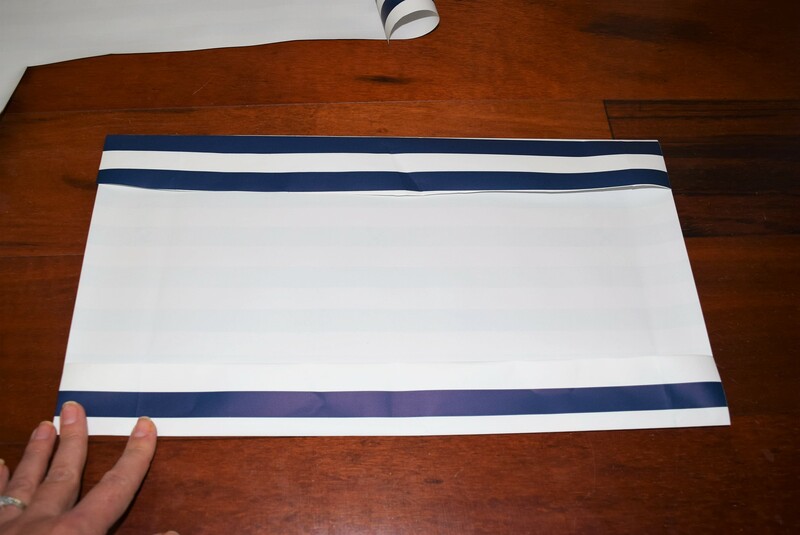 Fold the excess around the edge of the front and back cover creating a crease on those edges. 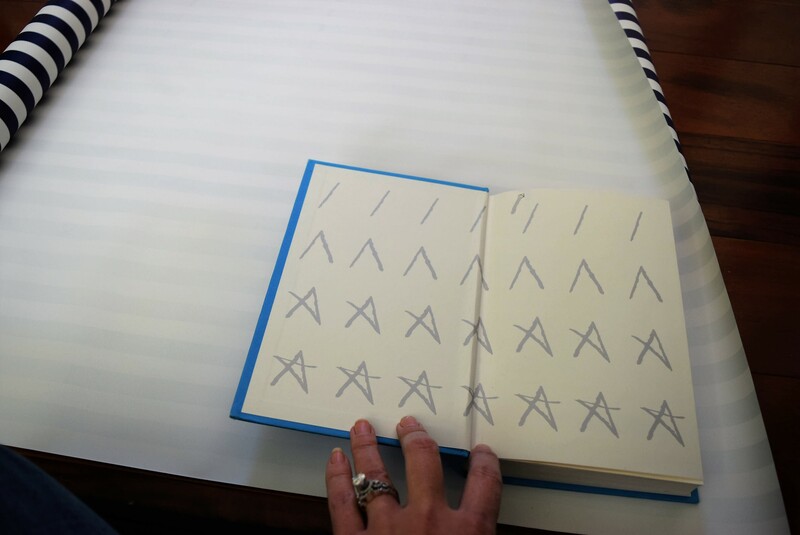 Press down on the top and bottom edges to mark where the paper will need to be folded. 6. Remove the book from the paper. 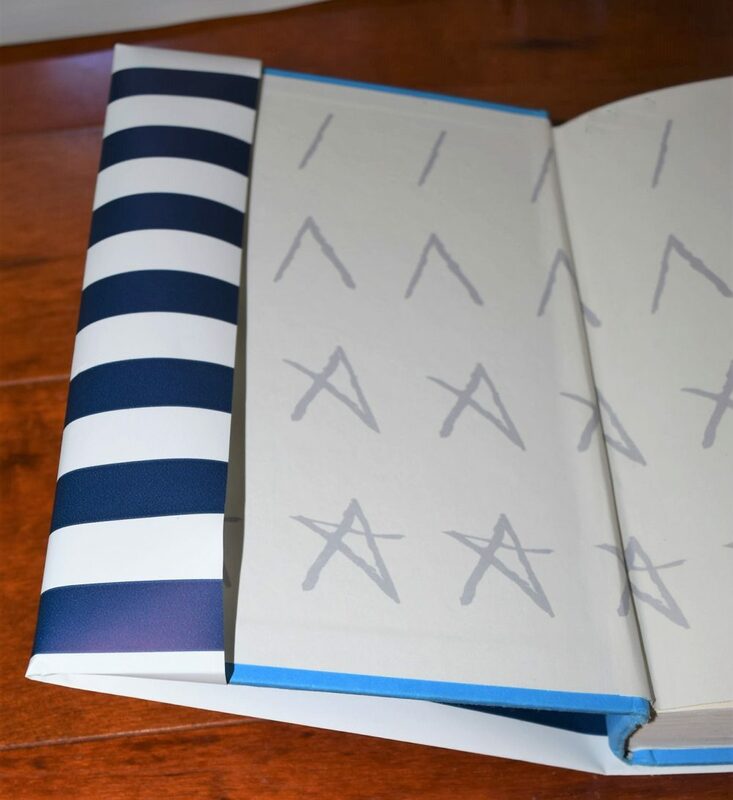 Fold the excess at the top and bottom to match the height of the book. 7. 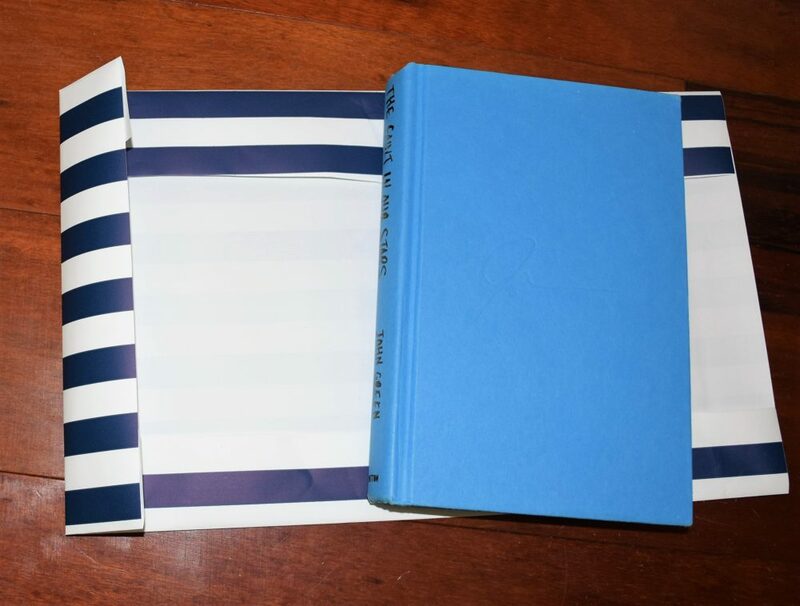 Fold over the left and right cover edges to create a pocket for the front and back cover. For the back cover be sure to account for the extra space you’ll need when the book is closed. 8. Insert the front and back cover into the pockets. 9. If necessary, (it’ll depend on the fit and if you have thin or slippery paper) tape along the edge of the front pocket. 10. Display your books artfully! Now that is a stupid easy DIY design accessory. Do you have an easy DIY design secret? Let us know and we’ll feature it here soon! The party would be held in my friend’s very spacious home and host over 100 friends and family. Much like designing any other room, we began with an inspiration piece to base the rest of the design on. Our inspiration began with the gorgeous invitations which featured a watercolor floral motif with periwinkle as the feature color and splashes of other shades, deep and light pink, light and dark green and a range of blues and purples. 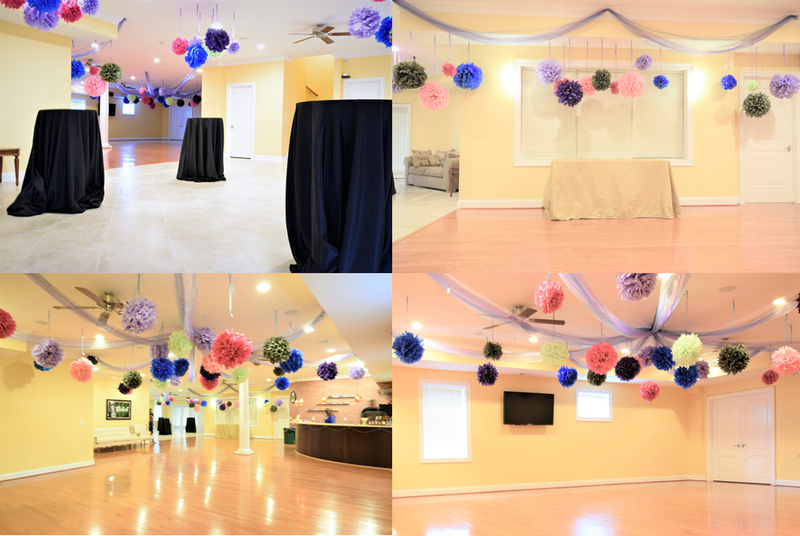 We decided to decorate the expansive basement dance floor with streamers of tulle and tissue paper pom-poms in this same range of hues. Here are some of the material basics that we utilized. There are about a million tutorials out there for making tissue paper pom-poms and it really isn’t that hard but it IS time consuming. We made over 125 tissue paper pom-poms of varying size and color. To say it took a long time is an understatement, but the end results were all worth it. We put pom-poms on the dance floor, we put them over the cake table, over tall drink tables, on the cake table, at the home entrance, and hanging from the balcony. All of those same areas were also adorned with varying shaded swags of blue and purple tulle ribbon and fairy lights. 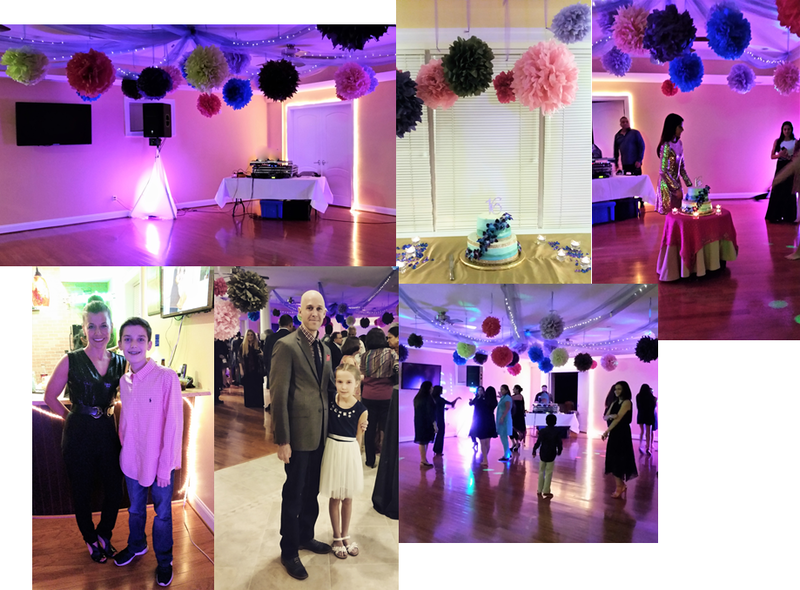 I think the overall effect was exactly what we were going for, transforming a stately and elegant home into a fun and whimsical setting for a Sweet 16! Here’s a few preparty shots in daylight. These are a few evening pics during the party (please forgive poor cell phone quality). 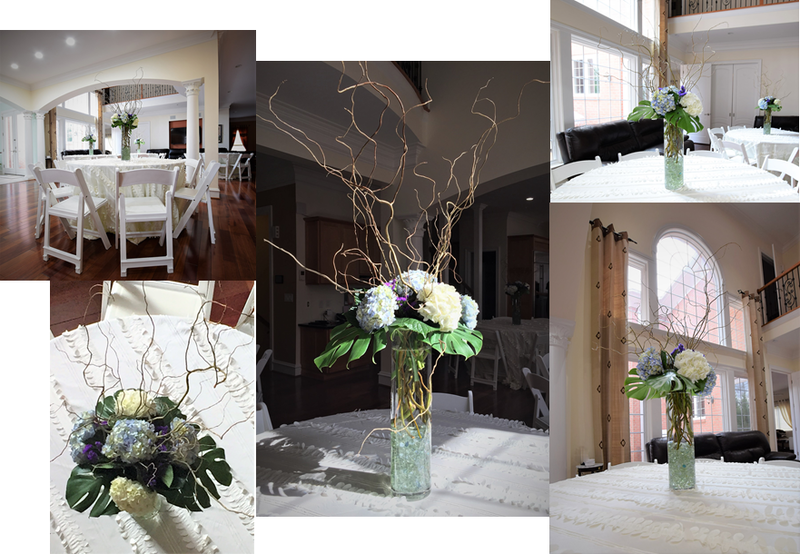 As you may have noticed I have a love affair with flowers so I was very excited to also design and arrange four statement centerpieces. We selected a tall vase filled with hydrangeas, curly willow, monstera leaves and purple statice accent. While decorating parties isn’t the core of my business, I think I’d love to take on a few more and really perfect this design art! I’m not sure about the weather where you live, but here on the Mid-Atlantic coast it’s been feeling like spring for the last week or so. This rush of warm weather has got me on a mission to get seedlings started (inside still) and skip right over the St. Patrick’s Day wreath in exchange for a fun and bright Spring wreath. While looking for inspiration I found so many great ideas. 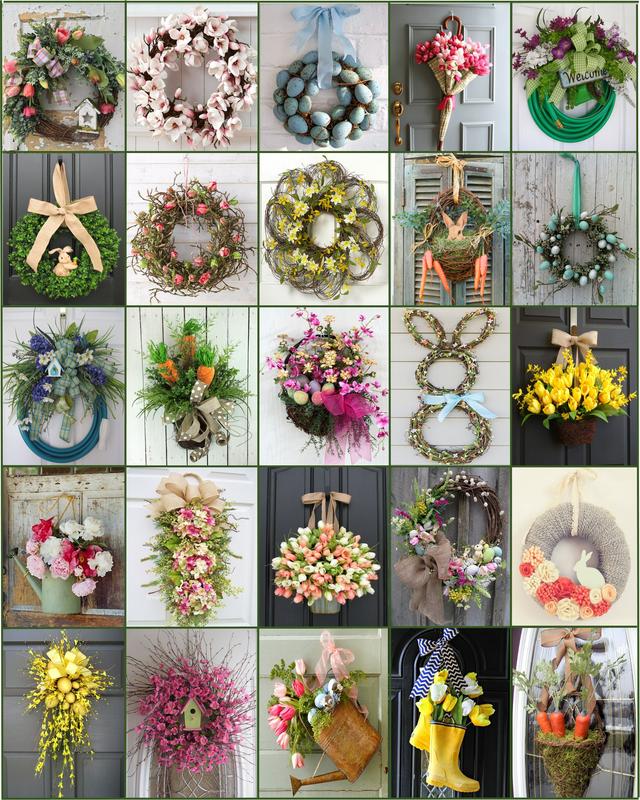 Here’s the 25 best and most gorgeous spring wreaths, I’m definitely going to duplicate one and maybe even a second one for the back door. 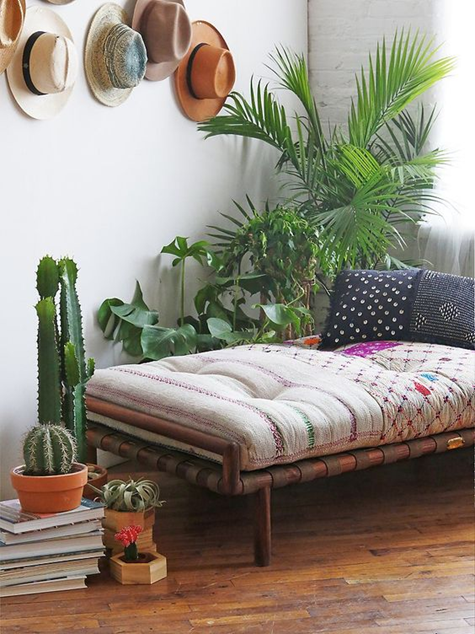 Succulents and their use in interiors have been hot for a few years now and I don’t think they are going anywhere any time soon. 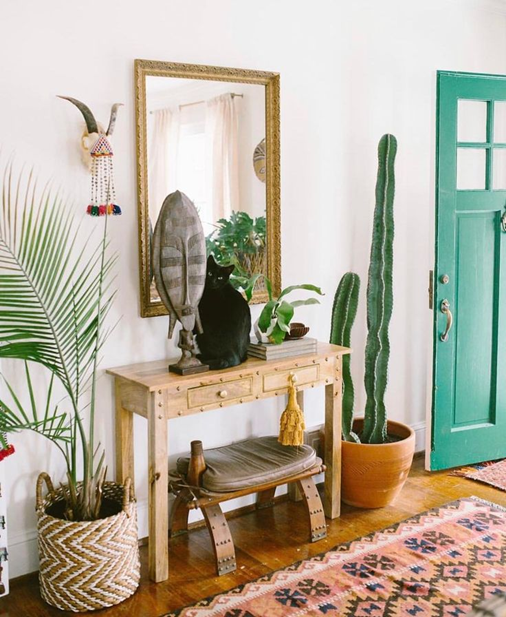 More recently we’ve seen the additional surge of the use of cacti and other desert plants in high end homes. 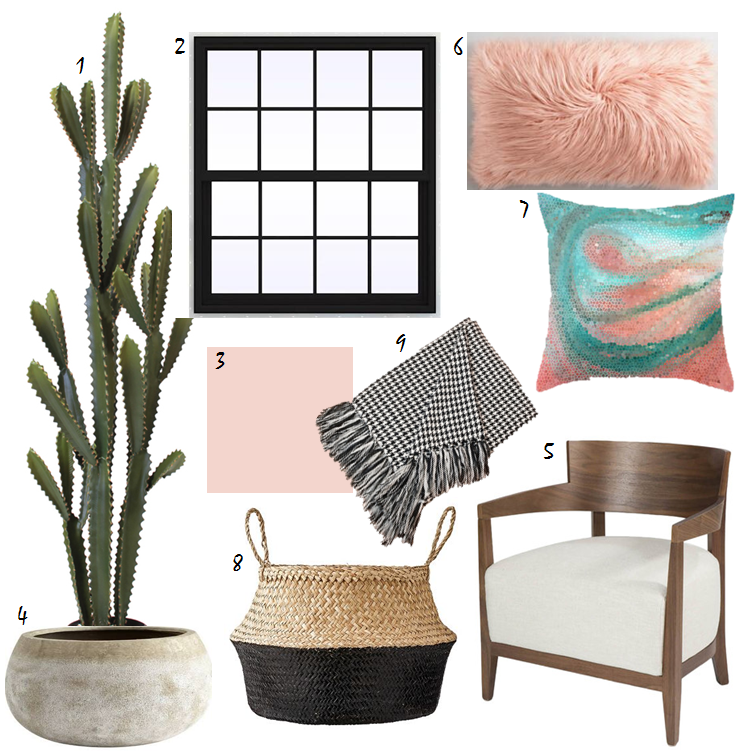 They are being paired with warm woods, and light pastel hues for a light and ethereal look that’s an alternative to the more traditional heavy, desert southwest look. I don’t know that this look has an actual name but I’m calling it “new desert casual.” This light and airy look can lean a bit bohemian or a little more modern. First, a few examples and then a few ideas for how to achieve the look yourself! 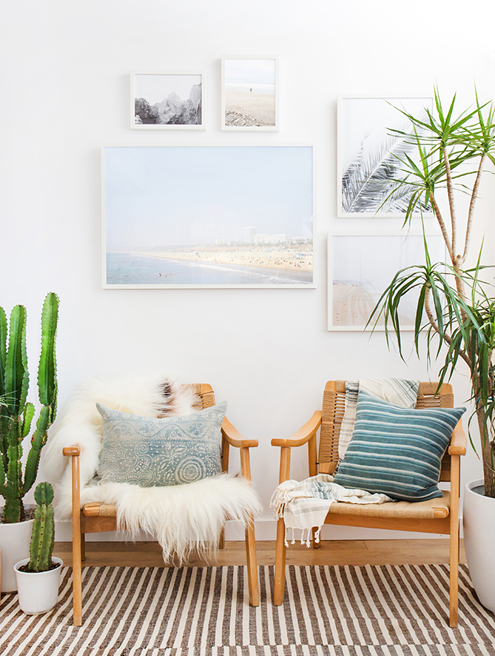 Amber Interior Design was able to even mix the desert look with some beachy prints to complete this relaxed desert boho inspired look below. Not sure of the original designers of these that follow but they are desert casual at it’s finest… and fairly easy to recreate yourself! Create New Desert Casual Yourself! A few ideas for achieving a similar look yourself and where to find some desert casual items. (My eyes have now been awoken to the splendors of faux large cacti – who knew – and they look so real on the computer!) List below has clickable links to all items.